The Mahla Pearlman Award for the Australian Young Environmental Lawyer of the Year is awarded to a young lawyer who has made a significant contribution to environmental law. Each recipient has carried out extra work giving back to the legal community as well as to the community at large. The Award is named in honour of the former Chief Judge of the Land and Environment Court of New South Wales, and former President of the Law Council of Australia, the late honourable Mahla Pearlman AO. The Award is conducted annually by the Australian Environment and Planning Law Group of the Law Council's Legal Practice Section. Nominations for the 2018/19 Mahla Pearlman Award are now closed. under 35 years of age as at 31 October 2018.
voluntary contribution to the community, especially to environmental or environmental law non-government organisations (NGOs). Nominations are to be in writing and describe how the nominee meets the key criteria above. Please send nominations to travis.kotzur@lawcouncil.asn.au. Previous recipients have demonstrated a range of skills, interests, and contributions to the legal profession and the community at large. Danya is employed as a senior lawyer at Environmental Justice Australia (EJA), working on biodiversity and nature protection, with a focus on public lands, forests and threatened species. Her practice involves litigating on behalf of community groups to promote conservation objectives, as well as acting in criminal law matters for individuals charged whilst protecting logging in Victoria’s native forests. Prior to starting at EJA she worked at Bleyer Lawyers, where she pursued similar work. Danya works very closely with numerous environmental community groups (including the ones represented in the above mentioned litigation) to educate them about relevant legal frameworks and thus empower community groups and community scientists to do the on-the-ground monitoring necessary to ensure that the relevant provisions relating to native forest logging are being complied with, and to identify and highlight the breaches that occur. Revel is a senior solicitor at community legal centre Environmental Defenders Office (EDO) Qld. Her work centres on law and policy reform, advice and community education. She focuses on analysing and advocating for improvements to our environmental laws and policies to ensure that they adequately protect our environment, provide for accountable and transparent governance and provide meaningful community participation in decisions that affect our environment and communities. She also provides educational workshops and materials on law reform matters to help empower the community and conservation sector to engage in law and policy that affects the environments of concern to them and their communities, as well as general legal advice on a broad range of environmental law matters. Prior to working at EDO, Revel worked at Minter Ellison in their planning and environment team, after starting her career as a paralegal with boutique firm Robert Milne Legal and having worked in Mexico in environmental education. She has also provided lectures and worked as a tutor for law courses at Queensland University of Technology, Griffith University and the University of Queensland, in subjects ranging from planning law, administrative law, environmental law and law in social context. Revel has a Bachelor of Laws and Bachelor of Environmental Management from the University of Queensland, a Masters in Culture and Development Studies from KU Leuven, Belgium and a Graduate Certificate in Policy and Governance from Queensland University of Technology. Revel is on numerous committees, including for the Royal Society of Queensland, the Australian Conservation Foundation and the Queensland Environmental Law Association. 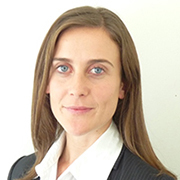 Michelle is currently a lecturer at the Adelaide Law School, and was previously a lecturer at Griffith Law School. Michelle’s research interests focus on the intersection between biodiversity conservation and sustainable livelihoods. She has published a range of work on institutional arrangements for transboundary biodiversity conservation and examined governance approaches for addressing ecosystem services and human well-being. Michelle is active in promoting early career involvement in international legal forums, and currently chairs the Early Career Group of the IUCN's World Commission on Environmental Law. She also participates in the Collective Leadership Team of the IUCN's Green List of Protected and Conserved Areas, and is a fellow on the Global Assessment of the Intergovernmental Science-Policy Platform on Biodiversity and Ecosystem Services. In addition to her engagement on international policy matters, Michelle continues to enthusiastically develop methodologies for building law students’ competency and capacity to address sustainability issues. 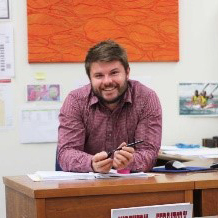 David practised as a planning and environment lawyer at a private firm and a prosecutor with the Victorian Department of Sustainability and Environment before taking on the role of Principal Lawyer and Executive Officer of the Environmental Defenders Office (Northern Territory) in 2013. During his four years with EDO NT, he was regularly the only staff lawyer in a significantly resource-constrained office. Despite this, under his leadership the office committed to a comprehensive outreach program to support remote communities to protect country, achieve successful outcomes in the Federal and Territory Courts and Tribunals, and advocated for wide-ranging policy and law reform to improve environmental management in the Territory. He also worked tirelessly to secure funds to ensure the office could continue its public interest environmental law work. Key successes included securing a change in the Northern Territory Government’s policy with respect to the public release of mine security bonds, following years of assisting Garawa Elder, Jack Green, to call for transparency around the security held for rehabilitation of the McArthur River Mine, and a formal ban on all gas and mining development in the Watarrka National Park. In late 2017, David took on the role of CEO of EDO NSW. Rupert has been at the Victorian Bar since 2010, after undertaking articles at Allens and the Environmental Defenders Office (Victoria). While he practises in a range of areas, his principal focus in planning and environment law. Environmental litigation in Australia often relies heavily on pro bono contributions from the private profession. Rupert has a distinguished record of providing representation to environmental NGOs, enabling such groups to challenge decisions affecting the environment despite limited means. 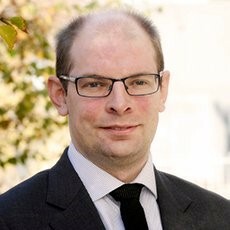 Notable cases in which Rupert has been briefed include Tarkine National Coalition Inc v Minister for the Environment  FCA 468, Hancock Coal Pty Ltd v Kelly & Ors  QLC 12 and Panel proceedings in relation to amendments to the Macedon Ranges and Greater Geelong Planning Schemes. He also acted as junior counsel to Nick Tweedie QC, assisting the Inquiry and Advisory Committee appointed to consider the Environment Effects Statement for the Melbourne Metro Rail Project. In 2017, Rupert was included in the Doyle’s List of leading Victorian Planning and Environment Barristers. 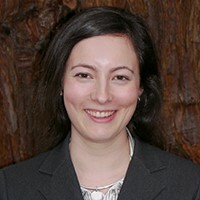 Rebecca is a senior lecturer in water law at Melbourne Law School, and Fellow of Stanford University’s Woods Institute for the Environment. Her research focuses on natural resources law and policy in Australia and the United States, with an emphasis on empirical research and practical solutions. Her background in engineering, science and law give her a unique perspective on complex, dynamic and uncertain natural systems, and the legal structures needed to regulate them. 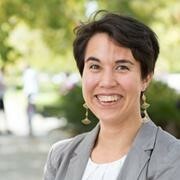 From 2010-2014, she led the Comparative Groundwater Law and Policy Program, a collaborative initiative between Water in the West at Stanford University and the United States Studies Centre at the University of Sydney. The Program developed a series of comprehensive papers exploring lessons learned across jurisdictions, ad identifying key elements of effective and flexible groundwater policy and management. Dr Nelson has worked as a lawyer at the Murray-Darling Basin Authority and a Director of Bush Heritage Australia, and currently works as an independent water lawyer and policy consultant (in addition to her teaching load). Dr Nelson has contributed to the Law Council’s recent submissions on Integrity of the Water Market in the Murray-Darling Basin and National Water Reform and presented at the Future of Environmental Law Symposium 2018. For more infomation, please contact the Section Administrator.